Rujulerp > ERP (Enterprise Resource Planning) > Give Your Organization the Gift of Business Automation this Christmas! Christmas is just a month away, and you might be already planning the celebration activities for the annual Christmas party at your workplace. Ain’t it? With all the excitement and tons of fresh ideas to make the event special, you must divulge to make a difference this year by adding some depth to it. As a responsible business owner, take the celebration one step ahead and bring in the innovation for giving your employees the gift of clutter-free work zone! Confused? We’re talking about the clutter of Excel sheets and documents that employees have to handle manually. In a hyper-competitive environment, traditional methods of managing documents have indeed become a headache for the majority of professionals. To organize the most important facets of the business – inventory, accounting, and compliance, tedious manual entry by applying complicated formulas of Excel consume a lot of valuable time. Remove this root-cause of decreased productivity by automating your business process. ERP is so far the best business management tool that not only, automates your tasks but also, improves decision making. 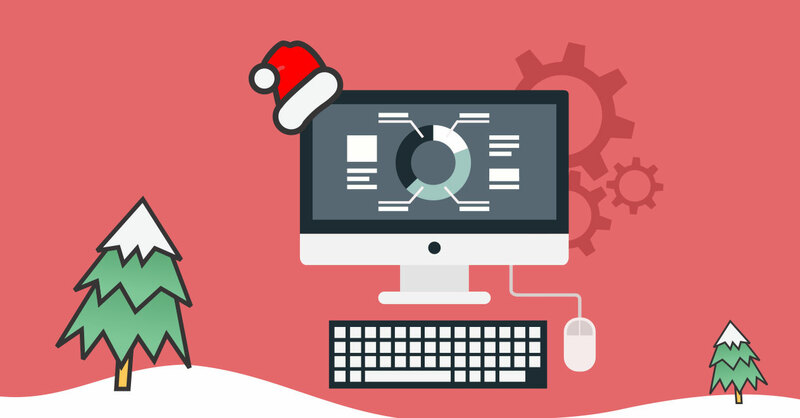 If you aren’t using an ERP software yet; Christmas is the perfect time to implement it. ERP software expands the business possibilities & enable employees to free up their time and focus on their work performance and velocity of commerce. Here is a compiled list of the key benefits you’ll get with an ERP software. Your employees will certainly appreciate your thoughtfulness for adopting the right technology, and in the upcoming year 2019, you’ll witness the positive impact of business automation. Generally, business management tools are available at cost-effective rates. So, you don’t need to worry about the investment part. Only make sure to check the features of the ERP software and, it’s ease-of-use before you finalize one. We’ll soon discuss in detail regarding the important aspects you need to take care throughout the process of business automation. So, stay tuned with us for more updates!